Well, today’s rant is about another truth in projects (and life itself, if you want to be honest with yourself). It’s the Project Triangle. The world, life, and your projects must follow the laws of physics. Especially this one: For every action, there is an equal and opposite reaction. Or, to put in simply, you don’t get somethin’ for nothin’. 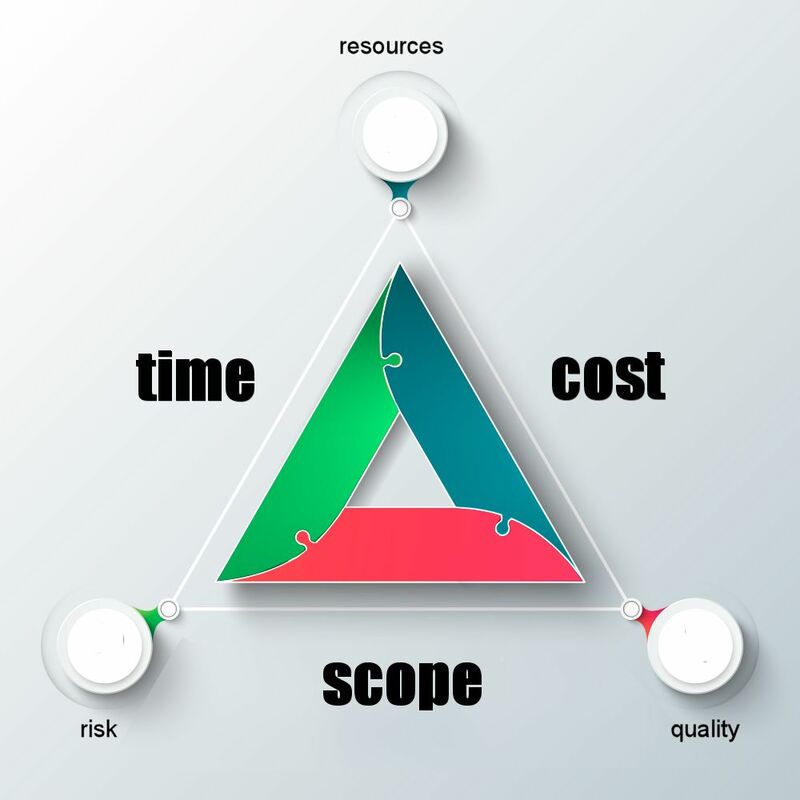 For a project to be feasible, for it to even have a chance to be successful, the Scope – Time – Cost project triangle sides need to actually be able to create a triangle. What I mean by this is, if each of the three factors were a line segment, can the three line segments form a triangle? If they can’t, then the project is infeasible and should be abandoned. My example of an infeasible project: Solve world hunger in one week for $100. The Scope line segment—solve world hunger—is a very looooong line segment. The Duration line segment—in one week—is an extremely short line segment. The Cost line segment—$100—is also an extremely short line segment. Try as you might, you cannot get those three line segments to form a triangle. Thus, the project is infeasible. Now, my example is an obvious one; your project’s triangle may be harder to prove or disprove. But, you have mathematics on your side. There exists a mathematical relationship between Time and Cost. After all, time is money. Duration (in days): How much Time (project days) will a project take? Work (in person-hours, for simplicity): How much effort is involved in the project? (the Scope of the task)? Availability (in person-hours/day): How much “free time” do you have to devote to the project? Cost (in dollars, euros, yen): What is the total Cost of the project (more precisely, the resources of the project)? Unit Cost ($/person/hour): How much does a unit of effort cost the project? So, if you look at the Scope–Time–Cost triangle, there exists some laws of physics / laws of mathematics that CANNOT be denied (Oh, but deny them they do, and if you read Rant #1, you know who they are). If you increase Scope (Work), then the Duration of the project will increase and the Cost of the project will increase. If you reduce the Cost (the project budget), then Scope (Work) of the project needs to be decreased. If you decrease Duration, then Scope (Work) of the project needs to be decreased. But some of you are thinking, Wait, there are other alternatives. There are what I call “pressure valves” in the project triangle. I write these on the points of the triangle and there are three of them: Resources, Risk, and Quality. The first pressure valve is the Resource pressure valve. It is true that you can reduce Duration without decreasing Scope (Work) and Cost. You just add resources. That works, up to a point (see Rant #1). There exist limitations, many limitations, when it comes to resources, the number of qualified resources available being one of those limitations. So, this pressure valve has a limit—as all pressure valves do—before it will fail; the resulting explosion will be heard by all. The second pressure valve is Risk. We could increase Scope or decrease Time or decrease Cost without affecting the other two sides, except that the Risk of the project will increase. The project can only withstand so many unilateral changes before the Risk starts to elevate and elevate quickly. (Imagine pushing on a water balloon. You can only push so hard before . . .) And like the Resource pressure valve, this one also has a limit before it will burst. That’s the limit where it is determined the project is too risky to perform, or continue to perform. The third pressure valve is Quality. This is a very dangerous pressure valve to play with. If we drive the project to the point where the Scope–Time–Cost triangle does not work with the Resources available within allowable Risk levels, then it is very tempting to “adjust” the Quality pressure valve. “We don’t have the time to do a full design review.” “We can’t afford to run all of the tests.” “We don’t have the time or money to vet the suppliers.” The world is too full of examples of organizations “adjusting” the Quality pressure valve (no names need be mentioned as you are already thinking of them). This valve needs to be welded shut. Compromising Quality is not an option, as tempting as it may be. So, if you want a successful project, and you want to keep it successful, make sure that the Scope–Time–Cost line segments form a triangle with the Resource and Risk pressure valves within acceptable limits (and no compromise on the Quality pressure valve; it must stay welded shut). If they aren’t, then RUN! Doug Boebinger, MSCE, PMP (PMP #3504) has over 25 years of experience as a project manager is multiple industries as well as an internationally sought after keynote speaker and corporate instructor. 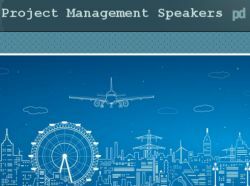 Boebinger has performed Professional Development Days and Chapter Meeting speaker engagements for numerous PMI chapters.